This time we are looking into one interesting 4 year old! It's time to introduce the global network Galaksion. Galaksion opened up for business in 2014 and grew rapidly straight away. In 2017 they served 18BN ad impressions every month, served 9000 ongoing campaigns every second and offered 157 geos in their buy and sell platform. Recently the network took the next step in their short history and launched their Self-Service Platform. The new platform was released in December 2017. The platform is currently only available for Publishers. Since the launch in December the Self-Serve is gradually expanding and we haven’t seen the end of the improvements yet. Singing up with the network is a straight forward affair. You receive an automated email after you have entered your details. Once you confirm your email you get access to the account. However, the access is restricted and it will be manually verified. Once your account has been verified you will have access to reports and other stat tabs. You will also be able to see who you have been assigned as an account manager and their contact details. As a publisher, you will get paid according to their payment terms (below) and on a CPM basis. One good feature for publishers in need of some quick payments, they offer daily payments! Flexible payment is a good feature that can come in handy for publishers. Talk to your account manager to agree on what you can do. 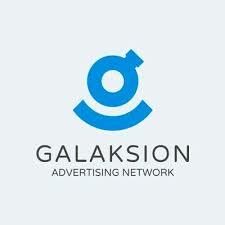 Galaksion network offers a wide range of formats for publishers to monetize their site with. One of the most popular is the Pop-Under format. As we have mentioned previously this format is a great way to add additional revenue to a website. 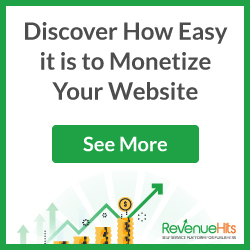 It pays well and doesn't compete with any existing display ads. 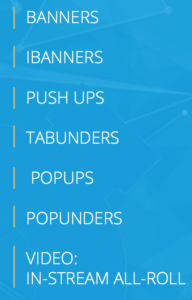 However, they also offer Banners, Push Ups, In-Stream All-Roll video and notification ads. After using Galaksion for a shorter period we are happy to say it's a fully working solution for publishers that want to earn on a CPM basis for their traffic. It's always good to try new solution for your traffic to find the best fit for it, and with a smooth well-developed interface - Galaksion is worth a try! If you liked this Galaksion review and still haven't signed up with them to try it out - what are you waiting for!